GUNMA (TR) – Upon his arrest for indecent exposure in Maebashi City, a noted male sculptor commented that he committed the act to offset the pressures of daily life. However, evening tabloid Nikkan Gendai wonders if the act served another purpose. At around 6:20 p.m. on June 8, Hidetoshi Takahama, 60, allegedly unzipped his pants and opened the fly to exposure his lower body to a woman, a 40-year-old company employee, in a parking lot of an apartment building. The woman then said, “What are you doing?” Upon which time, Takahama fled the scene. The sculptor became a person of interest after an examination of security camera footage taken at a restaurant near the crime scene. He was arrested on June 21. According to Gendai, Takahama is not a known exhibitionist. 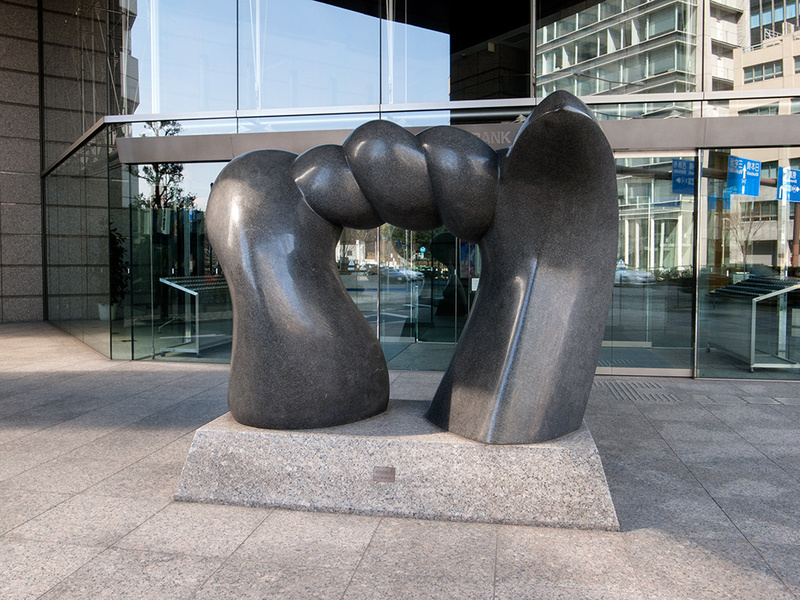 After graduating from Tokyo University of the Arts, he received a number of accolades, including the “Henry Moore Grand Prize.” His pieces — often consisting of twisting, spiraling, bulbous elements — are prominently displayed in front of office buildings, schools and hospitals and at parks. Takahama is married with two children. His lavish studio, comprising more than 1,000 square meters, is surrounded by greenery, located about 30 minutes by car from the crime scene — though there likely has been more than one. “Within the jurisdiction of the Maebashi Police Station, there have been about 10 similar incidents since 2015, and, due to similarities in what the perpetrator was wearing and his physique, Takahama is under investigation in those cases,” continues the aforementioned investigator. The suspect told police upon his arrest, “I did it due to stress.” However, Gendai figures such proclivity likely means that the act of exposure was used to spur the imagination for his artistic endeavors.